How much space is required for a BETAR Vibroacoustic system? Standard Edition Systems are 36" wide by 86" long (91 cm x 218 cm). To allow access to the components located at the foot of the console, we recommend the room be a minimum of 4' x 8' (121 cm x 244 cm). A space 5' x 10' (152 cm x 305 cm) or larger is ideal. Pro and Master Edition Systems consist of a geodesic dome for suspension of the focused speaker array, as well as an operator's console. These systems require a room that is no less than 10' x 13' (305 cm x 396 cm), with a finished ceiling height of 8' (244 cm). What are the electrical requirements of a BETAR Vibroacoustic System? All BETAR Systems are designed to operate anywhere in the world (from 100-240 volts and 50 or 60 Hz) using an ordinary wall outlet. We can locate the correct plug style for your country. How are BETAR Vibroacoustic systems delivered? 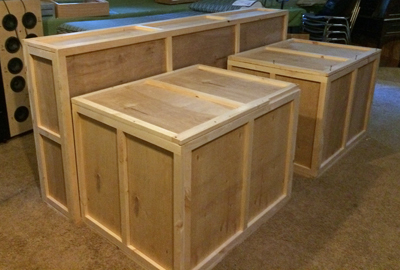 All BETAR Vibroacoustic systems are shipped FOB Athens, Georgia, meaning that the buyer is responsible for any and all costs associated with transporting the system to the final destination, including crating, insurance and transportation. Portable and Spa Edition Systems are usually shipped via UPS. 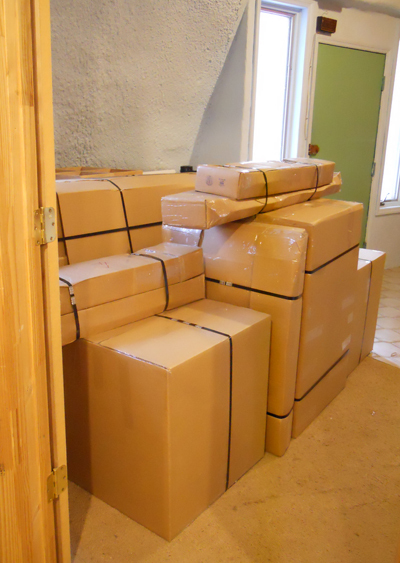 Standard Edition Systems are shipped in three crates, typically via truck within the United States. International customers may choose between transport via air or surface (ship). We use FreightQuote.com to find the most cost effective means for domestic delivery. It is our policy to pass on actual transportation costs with no markup or hidden fees. Clients are also welcome to pick up their Standard Edition system. Pro and Master Edition Systems are delivered, installed and calibrated by a team dispatched from BETAR USA. Prices for these services are quoted for each specific project based on the distance to the client location and the number of days required to complete the trip. However we have also had 100% success shipping the larger systems abroad to be assembled by local personnel. In these cases every component and connecting cable is clearly labeled for easy set up. How are BETAR Vibroacoustic systems installed? Standard Edition Systems are typically assembled by the client, a process that is easy to complete with the step-by-step instructions found in the owner's manual. It is also possible for these systems to be delivered and installed by a team dispatched from BETAR USA. The price for this service is quoted for each specific project based on the distance to the client location and the number of days required to complete the trip. Pro and Master Edition Systems are usually delivered and installed by a team dispatched from BETAR USA. Installation services include all assembly, calibration and training for the system operator(s), as well as removal of any unwanted packaging materials. However these system may also be assembled locally with basic tools by someone with basic mechanical skills. Most Pro and Master Edition systems shipped internationally have been assembled successfully in this way. Is soundproofing required for the room that will contain the BETAR Vibroacoustic system? Soundproofing requirements depend entirely on the needs of the owner, the space being utilized by the BETAR system and the proximity to those who might be disturbed by use of the system. Generally speaking, the Standard Edition Systems can be successfully operated at a volume that requires little or no soundproofing. The Pro and Master Edition systems generate considerably more sonic energy and may require soundproofing if the space directly adjoins a neighbor, as in the case of condominiums of commercial office spaces. It is our experience that the sound waves coming from any BETAR system can be fully contained at any volume! The Master Edition System in Dr. Dieska's office in Tinley Park, Illinois, is installed within 20 feet of a row of oral surgery and dentistry suites, yet no sounds are transmitted from the BETAR room. Will every BETAR Vibroacoustic system user have an emotional release or an esoteric experience? No. While common, not every BETAR rider will have these kinds of experiences. Likewise, even users that have had these types of experiences previously on a BETAR Vibroacoustic system will not necessarily have the same experience the next time. Each BETAR ride is unique. However, virtually every BETAR rider reports feelings of deep relaxation at the end of their session. How long is the typical ride on a BETAR Vibroacoustic system? BETAR rides are typically 45 to 90 minutes in length. Users have experienced much longer rides with no ill effects or difficulties.